Unless you want to spend most of your budget on take out, and you want to stuff your family with unhealthy nitrates (or, is it nitrites? 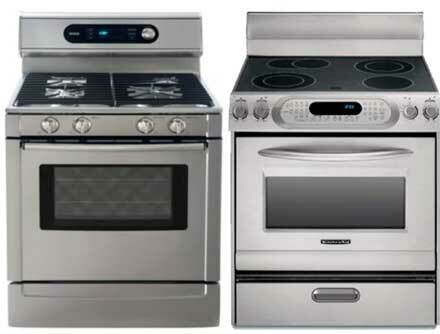 ), then you won’t need to buy yourself a kitchen stove or gas range. Otherwise, this is clearly a cooking essential which all homes must have. 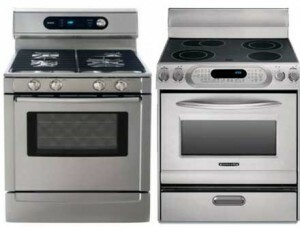 When buying a cooking range, choose a convection oven, as this cooks foods faster than a conventional oven, because it forces heat to circulate around the food being cooked. Instead of coil burners, go for smooth top ranges, as these are easier to clean. All it takes is a quick wipe with a damp cloth after each use. This entry was posted in Home Essential and tagged electric range, gas stove on May 17, 2011 by Yami. hindo po ako cook, puro “patcham” lang niluluto ko, tsamba tsamba, hehe. Our repairman said to pick the SIMPLEST stove you can – no digital clock, timer, anything like that – because those cost an absolute fortune to fix.